An on-line resource for teachers. taken to their own Dashboard and anything that is scheduled for them to complete is highlighted. 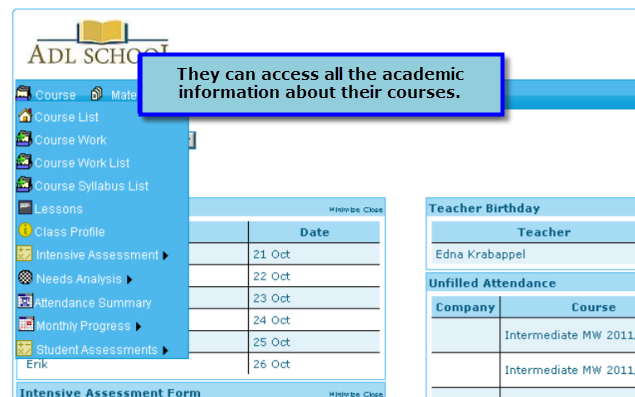 Teachers can also search through their courses and refer back to previous monthly reports, attendance, lesson comments, syllabuses, needs analysis etc., In fact anything that a teacher needs to know about their classes is in one handy to reach place. 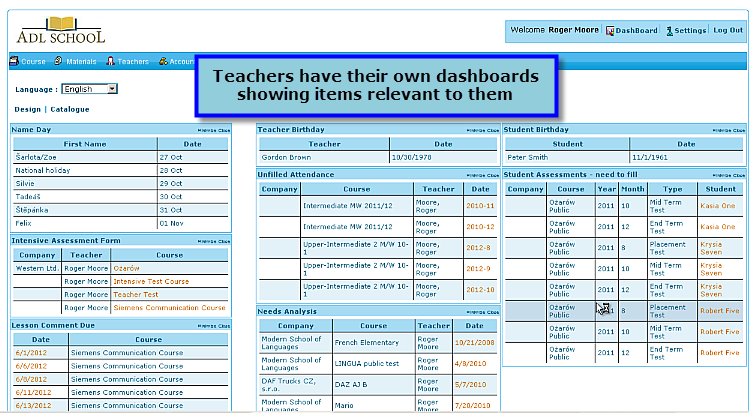 Teachers can also update their schedules themselves so that school administrators are working with the most up-to-date information. 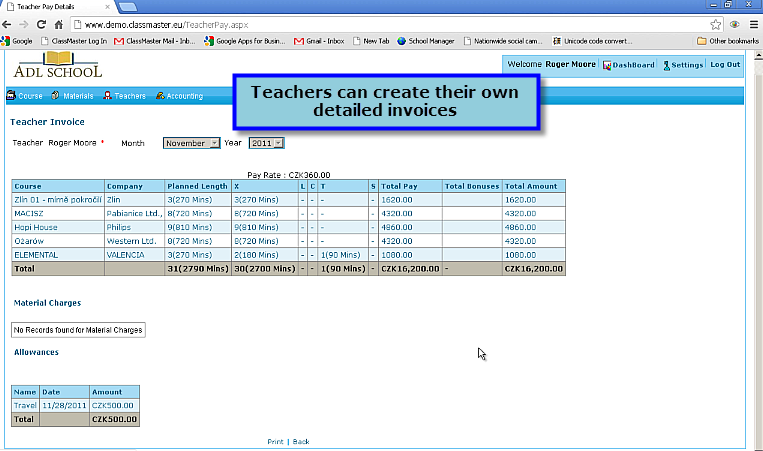 If teachers are paid on an hourly basis ClassMaster will even calculate their pay for them and produce an invoice and breakdown, if required. Teachers can also be shown how to use the system to interact more with students by using it to email pre-lesson vocabulary, or uploading homework and lesson comments for those students who missed a class.